Nashville Tenn. (January 23, 2018) – Bridgestone Arena, home of the National Hockey League’s Nashville Predators, has been named 2017 CMA Venue of the Year for the first time in the building’s 21-year history. This recognition comes a few short weeks after Bridgestone Arena was ranked fourth in the United States and 12th in the world for concert ticket sales, according to Pollstar’s Year-End Ticket Sales report released in January; the 2017 Pollstar ranking is the highest domestic finishing position Bridgestone Arena has seen and ties its 2015 global ranking. Bridgestone Arena underwent close to $6 million in renovations last summer, which included the completion of entirely new food and beverage areas, renovated concessions locations, over 20 new point-of-sale locations in the Upper Bowl and close to 80 charging ports with USB and Edison outlets. This October, Bridgestone Arena received the International Entertainment Buyers Association’s 2017 Arena of the Year, and was named a finalist for 2017 Pollstar Arena of the Year, its 11th consecutive year receiving the honor. 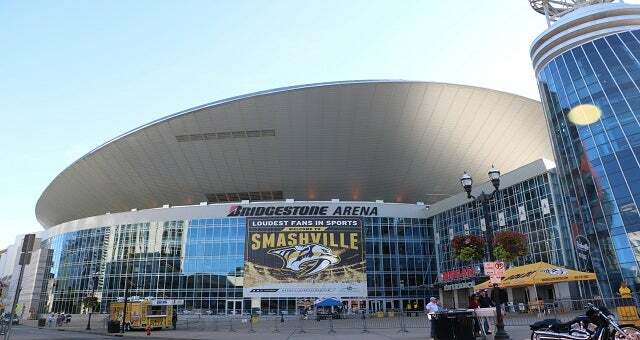 Serving as the home for numerous national and international events, Bridgestone Arena has the distinction of being one of the busiest venues in the United States over the past decade and a half.